Digital Citizenship is defined by wikipedia by it commonly referring to a person utilizing information technology in order to engage in society, politics, and government participation. What this is defined as for the education system is a whole new definition. Digital Citizenship to educators is an area of the modern digital era that is questionable whether or not to teach the proper responsibilities and ramifications that technology can have on the students current lives and future. Nine Themes of Digital Citizenship characteristics 9 basic themes which are digital access, digital commerce, digital communication, digital literacy, digital etiquette digital law, digital rights & responsibilities digital health & wellness, and digital security. All of these areas add up to a well- informed person in the modern digital era. What Digital Citizenship means to pre-service teacher is how to be educated as a teacher on how to relay healthy digital life traits to students. This entails each individual school system to be on board with certain policies to demonstrate how students can learn with the new technology and practice safe internet skills. Even if the school system has rules in place about internet use it is still important that a pre-service teacher understands digital citizenship and teaches about safe skills without the practice in a school setting. I feel that there is a responsibility as a school to help the youth understand their actions on the internet. Digital Citizenship matters to students by learning and applying the information that is taught to be cautious while using the internet and social media websites. This subject matter directly affects the future of these students by affecting their ability to into college and get a job with a historical history of their character and private lives online. The students need to learn about digital citizenship from a well-educated and informed teacher. 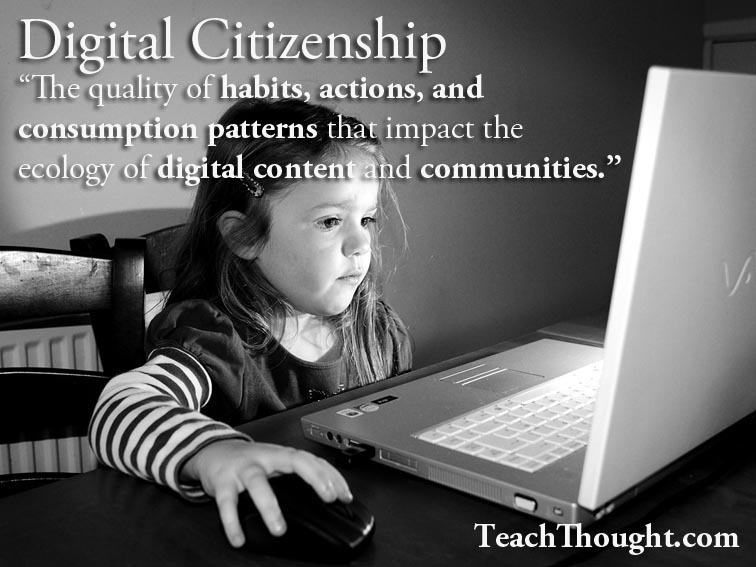 The value that digital citizenship holds is not monetary. The value is within the life lessons that a teachers hopes students learn. Why it digital citizenship education matter so much is because it is a modern life lesson that teachers and schools need to start teaching just like the golden rule and sharing toys. The educational system is in place to teach the youth of each generation the vitals of life and in the twenty first century generation of children, digital citizenship needs to be in the curriculum. How this should be implemented into the classroom is interwoven into everyday lessons. More and more multimedia and innovative technologies are being integrated into learning and with the technology savvy lessons, teachers should use that as a juncture to talk about digital citizenship. This lesson about being a digital citizen of the world forever is a big topic that should be focused in everyday but have a mass school-wide education day every year for the whole school. This could show examples of mistakes and prove as powerful lessons to remember for the kids. These lessons should be added in elementary school so it can be a normal, easy topic to discuss. I believe that posters with internet norms should be posted of the school- wide policy of WiFi and internet use. Also teachers should constantly reminding children and make posters reminding them about the privacy issue of the internet. This is a way to implement the concept of digital citizenship into the classroom. Additionally there is this video show how parents can be a force to help with aspects of children's digital citizenship or in their terms, "healthy media diet." They promote 3 simple rules: 1- use media together, 2- be a role model, 3- keep an eye on the clock. On Common Sense Media here is advice for parents is the video and additional information. George Corous looks at how schools should evaluate how they implementation of digital citizenship. He has created a table for a grade, which is appropriate for a school. His evaluation of schools incorporation of digital citizenship is very basic. With only four categories is limiting. Not only could a school be in between even in transition it is possible that a school is graded 2 but some teachers are preforming at a grade 4. This creates some inconsistencies with the rating. Overall I think it is a good idea to have a standardized grade scale. His grade chart is a great base to start at for the education system. I think this is the start and the future for the digital citizenship in schools.